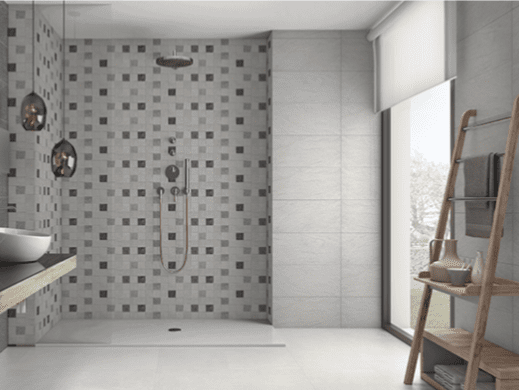 Ceramic tiles continue to offer a cost effect, hard wearing, low maintenance alternative to wall covers in bathrooms and kitchens. 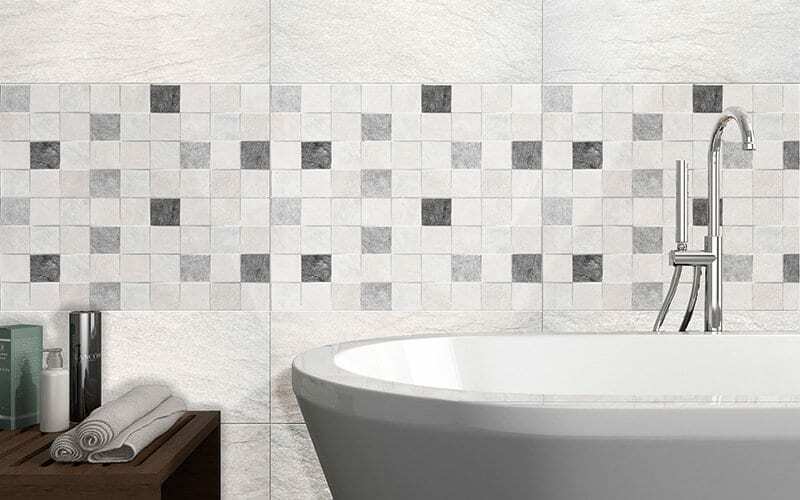 Devon is a 250×600 ceramic tile tile range offering a plain and mosaic tile. The mosaic can be used as a stand alone feature wall or used in conjunction with the plain tile. The mosaic decor consists of small square on the tile in several contrasting colours. A simple but effective range. Devon is available in white and mosaic.